Mixing heritage with modern culture, Albury Wodonga blends country pace and city lifestyle with its offerings of historical buildings, cultural events, vibrant shopping precincts and tree-lined gardens. Straddling the state line that separates Victoria and New South Wales, Albury Wodonga is united by the Murray River that winds its way between the two cities. Once a busy trade route for paddle steamers, the river now serves as a backdrop to the cities’ parklands, walking trails, golf courses and cultural events. Avid anglers have plenty to celebrate too, with some of the region’s best fishing spots nearby. Learn about Albury Wodonga’s rich heritage at the LibraryMuseum and immerse yourself in the Crossing Place: A Story of Albury, an inspiring multimedia exhibition chronicling the city’s evolution from first contact with the Wiradjuri people to the present day. Delve into the local culture and catch visiting exhibitions by renowned Australian and international artists at the Murray Art Museum Albury (MAMA). See live shows by national and international performers, from The Russian Ballet and Melbourne Symphony Orchestra through to stand-up comedians, pop stars and rock bands. For a dose of festival action, time your visit to coincide with Write Around the Murray or the Music in the Gardens season. Enjoy some quiet time in the peaceful surrounds of the historic Albury Botanic Gardens. Learn about the horticultural significance of the gardens and explore the winding walkways of this regional treasure, which was founded more than 130 years ago. Uncover the region’s pioneering past at local museums or take the Albury CBD Walking Tour, available as a downloadable app or printed brochure. Explore the history reflected in the grand architecture of the city’s buildings, most notably the restored Albury Railway Station. The regional city of Wangaratta is centrally located in the north-east of Victoria between Benalla and Wodonga on the main route from Melbourne to Sydney. Wangaratta features a large commercial centre, primarily based along the attractive thoroughfare of Murphy Street and extending into adjacent Reid Street. Wangaratta’s cultural precinct is located along Ford Street and Ovens Street and includes notable landmarks such as the towering Holy Trinity Anglican Cathedral (built between 1908 and 1909), St Patricks Church (construction commenced in 1865), the Wangaratta Art Gallery (former Presbyterian church which was built between 1898 and 1899), and the modern Wangaratta Performing Arts Centre. Wangaratta boasts a number of attractive parks and gardens within the town centre. Enjoy walks along the Ovens River and through the delightful Apex Park, spend time in the central English-style King George V Gardens, or retreat to the tranquil sunken gardens of Merriwa Park which are surrounded by waterways and feature a lagoon, fernery and bush walking paths. For a swim, visit Sydney Beach which is accessible from the eastern end of Ovens Street, and is situated at a sandy bend near a weir on the Ovens River. Shepparton is a major commercial centre, located between Nagambie and Numurkah on the Goulburn Valley Highway which is the main inland road route between Melbourne and Brisbane. Shepparton is situated within the rich dairying, fruit growing and agricultural region of the Goulburn Valley, with the area responsible for producing around 25 percent of Victoria’s rural output. Major food companies in the area include SPC Ardmona and Campbells Soups. SPC Ardmona have a factory sales supermarket open to the public in Corio Street which they claim to be Australia’s largest food factory outlet. The large commercial centre of Shepparton is based around the main thoroughfare of Wyndham Street and the mall along part of Maude Street. A communications tower, located off the Maude Street Mall, is open weekdays from 9am to 3pm and offers visitors spectacular views over the city and surrounding countryside from a public viewing platform. 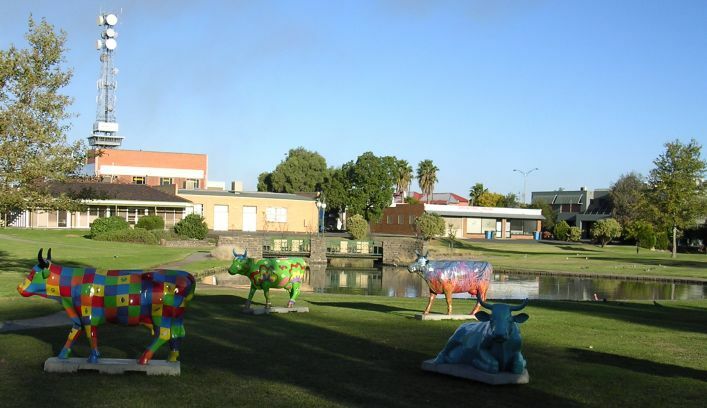 Shepparton’s cultural precinct is located in Wellsford Street and consists of an art gallery featuring Australian ceramics and paintings, and a major war memorial located next to the council offices. On the corner of Wellsford Street and High Street is the Paul Gribben Historical Precinct, consisting of the Shepparton Heritage Centre which contains thousands of items tracing Shepparton’s history housed in the old Forester’s Hall (built in 1873) and farming equipment displays in the surrounding parkland. Mooroopna is a rural town located 181 kilometres (112 mi) north of Melbourne, Victoria, Australia. It is on the banks of the Goulburn River opposite the larger town of Shepparton. The Midland Highway crosses the river between the two towns. In the beginning, industry revolved around the processing of grains and fruit but, in the past 30 years, Mooroopna has become a desirable residential area for nearby Shepparton. The town now consists of mainly residential areas, many parks and gardens and some factories. It is home to Ridley AgriProducts, and ED Parsons. It is a major player in ‘The Food Bowl of Australia’ and will have a critical place in the proposed freight and logistics centre, planned for Toolamba Road, south of the town. Westside Performing Arts Centre, the home of many school productions by schools throughout the Shepparton area, as well as outside performers, adjoins Mooroopna Secondary. Mooroopna HUB was recently built in the centre of the town. Offering a free library, and rooms to cater for group/club meetings. Mooroopna HUB is a wheelchair friendly environment. Located one kilometre away is SPC Ardmona Kidstown, a playground as big as the MCG. The Kidstown Project was initiated by Geoff Allemand, a school teacher, who put the proposal to council in 1994. Kidstown offers a relaxed environment for adults and a perfect day out for the kids, with play equipment being made on site with the help of local groups, clubs and businesses. Echuca is set within an irrigated pastoral and agricultural district on the Murray River, just across the river from the New South Wales border town of Moama. Echuca is the closest settlement on the Murray River to Melbourne. The heyday of paddle steamers and river trade has left a historic legacy to Echuca on which much of its tourism is built upon today. The original red gum wharf was constructed in stages from 1865 as a three-level structure to allow for the rise and fall of the river, ultimately reaching a length of 1200 metres. Only a small section of the wharf remains today, preserved as part of the recreated Port Of Echuca tourist attraction, and serving as a great viewing deck of the Murray River and surrounding bush. As well as the wharf, this river port recreation of yesteryear features a museum, historic buildings, equipment displays, demonstrations and cruises on authentic paddle steamers. Echuca’s main commercial centre is situated along Hare Street and spills over into Pakenham Street and other side streets. It consists of a mix of contemporary shop fronts and historic buildings such as the former post office with its distinctive clock tower (built in 1870), several banks and churches. A more tourist-based commercial precinct lies along High Street. South of Heygarth Street, this wide boulevard is lined with motels, churches, a cinema and supermarket. North of Heygarth Street, it features many historic buildings with a range of hotels, eateries and speciality shops. Echuca’s warm climate and its location along the Murray River, lined with parks and native forests, makes it a popular destination for visitors, with swimming, boating and fishing being popular activities. The river is home to a constant stream of houseboats, providing an alternative type of accommodation for holiday makers. Get a taste of what’s cooking in Beechworth, a village with an acclaimed food and wine scene set amid stunning gold rush architecture. Take a stroll through this picturesque township, filled with lush green trees, boutiques and renowned restaurants and cafes. And visit in autumn to experience an explosion of colour as the leaves turn to golden yellows, rich reds and vibrant oranges. Roam Beechworth on paths paved with gold during the 1850s gold rush, which left an impressive legacy of over 30 National Trust-listed buildings for today’s visitors. 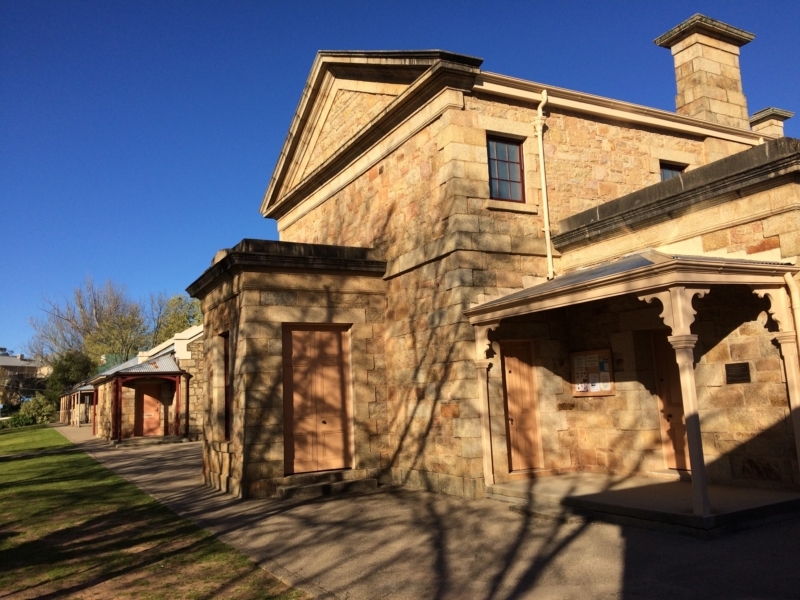 Visit the Beechworth Historic and Cultural Precinct and see the gaol that hosted bushranger Ned Kelly, the 1850s Telegraph Station and take a ghostly tour of the Mayday Hills Lunatic Asylum. Uncover wealth of a different kind, with Beechworth’s abundance of prized eateries. Compete for a reservation at celeb-chef Michael Ryan’s Provenance, awarded two hats by the Good Food Guide 2018, or relax with pizza and beer at Bridge Road Brewers. Visit during the High Country Harvest Festival and soak up the town’s autumnal splendour. Join in the party and meet the makers of some of Victoria’s finest food, wine and craft beer. Study restaurant wine lists for local cool-climate chardonnay and pinot noir. Call ahead to visit renowned wineries such as Giaconda for drinkable souvenirs. Delve behind period shopfronts containing fine antique stores, craft shops and boutiques. Stock up on cheese and charcuterie from Project 49 and keep the bees busy at Beechworth Honey, one of the most famous honey brands in Australia. Stop in for tastings and learn about honey making and bee keeping. Follow up a busy day on the shopping trail with a visit to the popular Beechworth Spa, located in the historic gardens at Mayday Hills Village. Numurkah is a town in Victoria, Australia, located on the Goulburn Valley Highway, 37 kilometres (23 mi) north of Shepparton, in the Shire of Moira. The town has an Australian rules football team competing in the Murray Football League. Golfers play at the course of the Numurkah Golf Club on Tunnock Road. Other popular sports include: Numurkah Lawn Tennis Club, Lawn Bowls, Soccer, Gymnasium & an Outdoor Swimming Pool which is operated during the warmer months. Numurkah is a low lying town located on the floodplain of the Broken Creek. The Broken Creek flows into the Murray River just north of the township of Barmah. Numurkah is a very special, unspoilt country town. Approximately two and a half hours drive north of Melbourne, Numurkah is ideally located for the weekend getaway or extended stay. As the southern gateway to a region known as the Sun Country on the Murray, Numurkah and the surrounding district enjoys one of the biggest temperature climates Australia has to offer. The centre of a thriving agricultural area, Numurkah is a food lovers’ paradise. On offer are a range of locally made wines, handmade cheeses, cold pressed olive oil, as well as organic honey and almonds. Nestled in the many smaller towns that surround Numurkah, you will find antiques and bric-a-brac, great country pubs and authentic country bakeries. 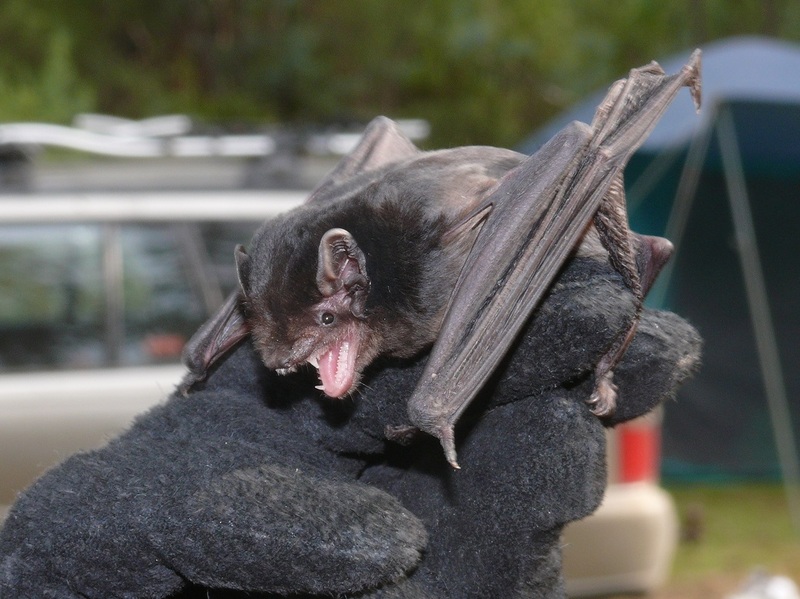 You may even spot a koala, kangaroo or rare bird as you travel the surrounding wetlands and forests. Cobram is located on the Murray River, just across this grand waterway from the small New South Wales border town of Barooga. The commercial centre of Cobram is primarily based around Punt Road and Main Street, and consists of a selection of shops, supermarkets, hotels and cafes. Mivo Park, located at the edge of the shopping precinct, offers an attractive oasis complete with rose gardens, a playground and picnic areas. The old Cobram railway station is set within parklands featuring a small lake, rose gardens, a gallery and a reassembled log cabin dating back to 1874. The Mill End is the oldest part of Cobram, located on the north side of Mookarii Street between Warkil Street and the Murray River. This originally thickly timbered area was first surveyed in 1886, with its name reflecting the sawmills that operated in the area. The Mill End precinct includes Cobram’s oldest hotel, the Royal Victoria Hotel, a local shopping area and an established residential area. 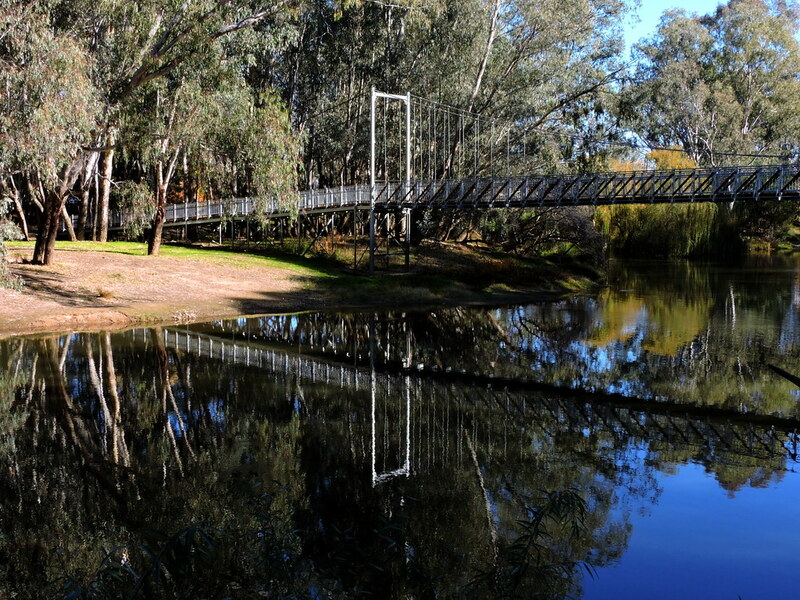 Cobram is a popular holiday destination, with its chief attraction being the Murray River. The river twists and turns through a thick state forest which provides numerous walking trails through the native bushland and wetlands. The Murray River around Cobram features some attractive sandy beaches lined with towering gum trees and grass picnic areas, ideal for swimming, fishing, boating and camping. Thompsons Beach is located just north of the bridge over the river to Barooga, while Scotts Beach, with its extensive camping area, is located just a couple of kilometres from the town centre along River Road. On the way to Scotts Beach is Quinn Island which is a 40 hectare waterbird haven located at a bend in the river. A footbridge provides pedestrian access to the island. The land around Cobram is part of a rich pastoral, dairy, fruit and wine-growing district, thanks to the irrigated water supplied by the Murray River and the warm, stable climate. Broadford is located between Melbourne and Seymour, within a rich pastoral district. Broadford enjoyed prosperity in the 1860s when gold was discovered in Sunday Creek, while these days Broadford’s major manufacturing industries include a paper mill, the Nestle food company and a Kaolin clay mine. The town centre of Broadford is built around High Street which is lined with native trees and has a service road running along both sides. A number of shops and a supermarket make up the town centre, with the railway station and Commercial Hotel situated at the western end of town. Broadford’s history is well preserved with several parks illustrating events of years gone by. The park in front of the post office features a war memorial plus memorabilia of battles including a cannon and machine gun. The park also includes an obelisk which serves as a monument to early explorers Hume & Hovell. On the other side of High Street, between Sunday Creek and Murchison Street, are more tributes to the town’s history including the Jennifer R Neill Pavilion which features old farm equipment, and an old straw boiler in the shape of a giant metal ball which was used to make paper pulp. Next to this is the Broadford Courier building which dates back to 1891 and has printing equipment on display, and the Pioneer Cottage which is a replica of a slab hut built by early settlers. Mount Piper, just west of Broadford, offers scenic bushwalking. The Mount Disappointment State Forest, south-east of town, encompasses the Sunday Creek Reservoir and the Strath Creek Falls, offering spectacular views from the summit of the actual mountain. Wallan traditionally known as Wallan Wallan (large circular place of water), is a town in Victoria, 45 kilometres (28 mi) from Melbourne in Australia. The town sits at the southern end of the large and diverse Shire of Mitchell which extends from the northern fringes of Melbourne into the farming country of north-central Victoria and the lower Goulburn Valley. The township flanks the Northern Highway and is set against the backdrop of the Great Dividing Range. The fastest growing town and now largest town in the shire, Wallan is a link between the city and rural towns such as Kilmore, Broadford and Seymour. 15 kilometres to the north is a turnoff to Strath Creek which leads through the Valley of a Thousand Hills. Wallan is well connected with the V/Line train network on the Seymour line. Mitchell Shire also operates a town to station connecting bus service for peak hour commuters. There is a bus service from Barmah that serves Wallan to Southern Cross station. Wallan has parks in prominent locations, such as Hadfield Park. However town lacks large parks and walkways in general. There are very limited recreational facilities in the town. Walkways have been improved in recent years with re-vegetation of wetland areas along Watson st and storm water mitigation ponds around Wallara Waters. The town of Kilmore is located north of Melbourne between Wallan and Heathcote, on the main highway to Echuca. 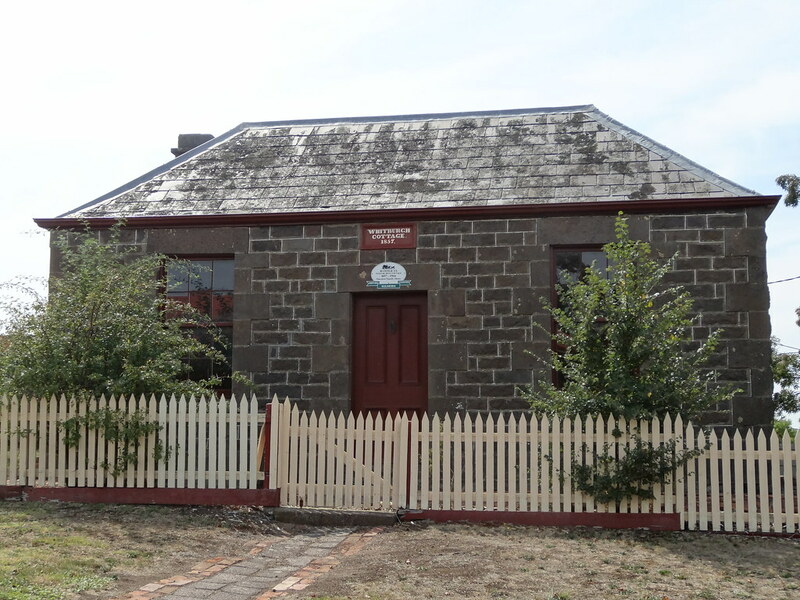 As one of Victoria’s oldest inland towns, Kilmore features a collection of historic buildings including the post office (built in 1863), court house (1864) and former police barracks (1892). However, one of the most striking of Kilmore’s public buildings is the former town hall which was built in 1894 and features a decorative facade with enormous Corinthian pillars. The oldest surviving house in Kilmore is Whitburgh Cottage, which was constructed from bluestone in 1853. The cottage is located in Piper Street and now houses a museum which features items of 19th century culture. Kilmore’s commercial centre is built around the main thoroughfare of Sydney Street, offering a wide selection of shops, large stores, hotels and several supermarkets. The Kilmore Creek runs parallel to Sydney Street and it features parkland, shady spots and walking tracks along much of its length. Kilmore has several major sporting facilities including a scenic golf course and a racecourse which hosts a multitude of events including the acclaimed Kilmore Pacing Cup. The Old Kilmore Gaol, which dates back to 1859, is situated in Sutherland Street and offers guided tours with displays and memorabilia. Monument Hill, located a few kilometres to the east of town, is a fauna and flora reserve that includes a monument to explorers Hume and Hovell in the form of a bluestone lookout tower which offers scenic views towards Kilmore and the surrounding countryside. Seymour is situated on the Goulburn River at the base of the Tallarook Ranges, between Nagambie, Broadford, Euroa and Yea. Seymour’s town centre was originally located on Emily Street which was the main road between Melbourne and Sydney and became particularly busy during the the gold rush days. On that road is the historic Royal Hotel (built in 1848), the old court house (built in 1864 and now the visitor information centre) and the old post office (built in 1873 and now an art gallery and restaurant). The arrival of the railway in 1872 saw the construction of the Seymour station in Station Street and the town started to develop in this geographic area which is today the heart of Seymour’s commercial centre. There are shops along one side of Station Street, with one of the oldest buildings in that street being the Terminus Hotel which was built in 1897. The other side of Station Street consists of attractive landscaped gardens along the main railway line between Melbourne and Sydney. There is also the Seymour Central Shopping Centre in Tallarook Street and a smaller local centre can be found eastwards along Anzac Avenue. At New Crossing Place, the original site of the town on the banks of the Goulburn River, is attractive parkland, picnic grounds, a fishing platform, boat ramp and walking trails along the river. Goulburn Park which fronts a wide bend in the river at Guild Street, offers picnic facilities, BBQs, a playground and is suitable for swimming. Kings Park in Tallarook Street and Chittick Park in Pollard Street are home to many of Seymour’s recreational and sporting facilities. Seymour is located within scenic countryside, surrounded by fertile agricultural, pastoral and wine growing areas. Mildura is located in the far north-western corner of Victoria, on the banks of the Murray River, around 400 kilometres from Adelaide and under 550 kilometres from Melbourne. Originally a rather lifeless area, the region around Mildura was transformed into a rich agricultural oasis thanks to the work of the Chaffey brothers from Canada in the late 1800s due to their experience with creating irrigation settlements. Mildura is a popular tourist destination and a bustling regional city in an area well noted for its warm and stable weather. It features wide, tree-lined streets and is surrounded by vast numbers of wineries and fruit growing farms. The commercial centre of Mildura extends along the grand boulevard of Deakin Avenue with gardens and monuments located along its wide central strip. Running parallel to Deakin Avenue is Langtree Avenue which features an attractive pedestrian-only mall between 8th Street and 9th Street. The section of Langtree Avenue between 7th Street and 8th Street is nicknamed “Feast Street” due to its concentration of restaurants, cafes and bars. A short journey eastwards along Pumps Road leads to the Red Cliffs Scenic Reserve where the cliff top lookout commands fine views over the river and surrounding landscape. Nearby is a pumping station which draws water from the Murray River up over the cliffs and into a network of irrigation channels. Mildura is the perfect base for exploring other locations in this area. A 90 minute drive west will take you into South Australia’s rich Murray Riverland region surrounding Renmark and Berri. 30 kilometres north-west of Mildura is the historic port town of Wentworth in New South Wales, where the Murray River meets the Darling River, at the gateway to a vast outback region. Swan Hill is a city in the northwest of Victoria, Australia on the Murray Valley Highway and on the south bank of the Murray River, downstream from the junction of the Loddon River. In Swan Hill there are four primary schools, two secondary schools and three schools which run both primary and secondary syllabuses. These are Swan Hill College, MacKillop College, St Mary’s Primary School, Swan Hill Primary School, Swan Hill North Primary School, Sun Centre Christian School, Victorian P-12 College of Koorie Education – Payika Campus and Swan Hill Specialist School. Swan Hill College is well known for its anti-drug program. Swan Hill is the heart of the Central Murray Football League. It is also the home to two football clubs, the Swan Hill “Swans” and the Tyntynder “Bulldogs”. Swan Hill also has Swan Hill Senior Futsal providing senior futsal in Swan Hill, both men’s and women’s leagues, boosting 33 teams for the 2015/16 season. The city is located on the Murray Valley Highway, which links it to Bendigo. V/Line operates passenger rail services on the Swan Hill line, with the local railway station being the terminus. The Swan Hill Airport is also nearby. It also has its own buses.